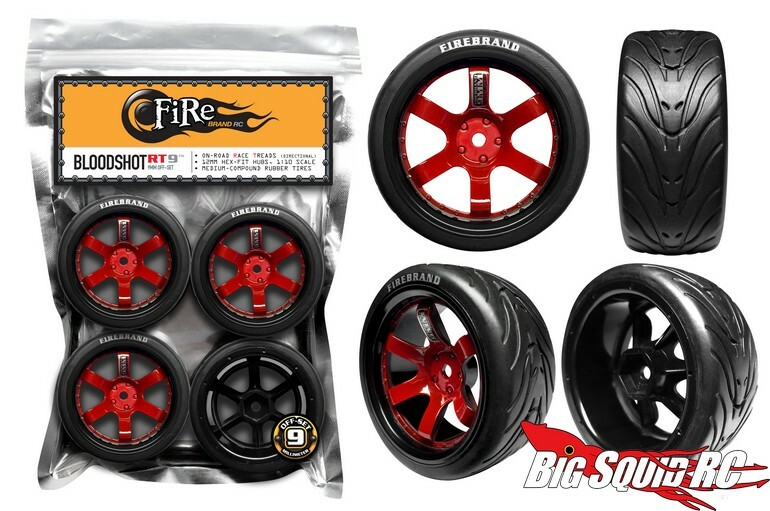 FireBrand RC BLOODSHOT-RT9 Race Treads « Big Squid RC – RC Car and Truck News, Reviews, Videos, and More! New from the crew at FireBrand RC are Bloodshot-RT9 Race Treads. 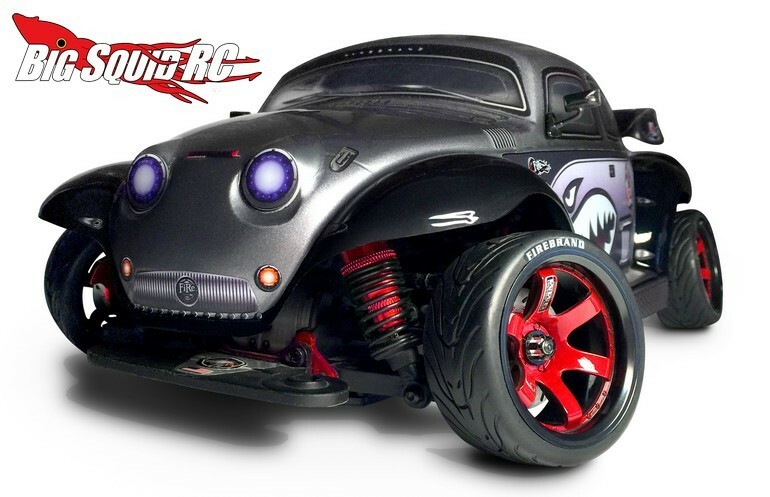 The BloodShot-RT9 wheels are pre-glued with Fang treaded tires and work on a wide variety of 1/10th scale on-road cars. Medium compound rubber is used for the tires and the wheels are made from high quality ABS plastic. A 9mm “deep dish” off-set is standard and the wheels are painted rocket red with black accents. Pricing for a set of 4 is $39 and complete details can be found by following This Link over to FireBrand’s official website. 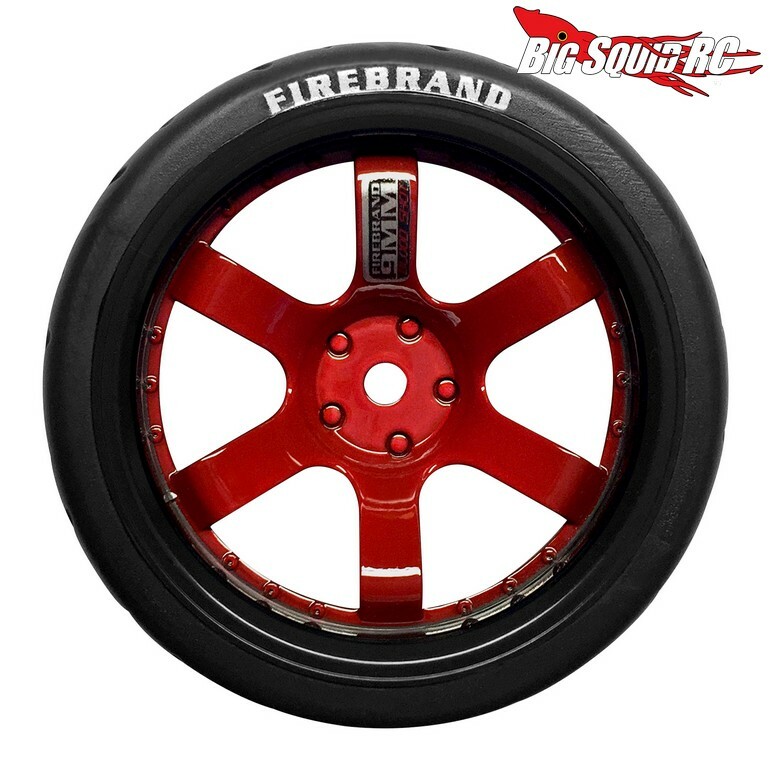 Click Right Here to read more of the latest FireBrand news on BigSquidRC.